Someday down the road it struck me. Why don’t i just combine my two passions and create an anime blog? This post is meant to be a tutorial about how to create an anime website. I will share what i believe to be the best platform to use and answer the possible roadblocks that may be holding you back. Lets start off with stating what this tutorial won’t be. If you are in the mood of making an illegal streaming type of website, you won’t find a tutorial for that here. We don’t really endorse the method(our proposed alternatives for watching anime are here), so if that is what you are looking for, you are on your own. Also, i won’t advise you on building a forum type of website or some type of store. What i will teach you, is how to build a blog type of website related to anime, or any other topic for that matter. That’s what i do, and that is the topic i can and will advise you about. 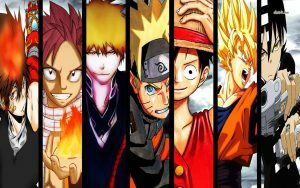 The general idea about how to create a blog can be used for other topics as well, not just anime, but due to this site’s topic being One Piece and anime, i will try to give some nuggets tailored to that particular theme. The basis of the websites i will suggest is a blog, but later someone can of course expand. 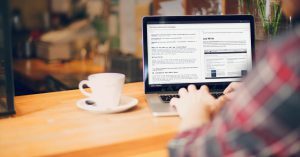 Why a blog type of website? I assume that most of you reading this are average people, who just wonder if they can turn their passion for anime into some type of website. You just want to emulate the different websites you love and visit everyday. For example, MyAnimeList is one of my favorites. However, those websites are years in the anime niche(niche is a part of the market for those unfamiliar). A person just starting out in the anime industry shouldn’t concern themselves with things like fancy website graphics or special services like streaming. They should focus on publishing great content with passion about anime. That’s the purpose of a blog. With a blog someone can get their personal take out into the world and the numerous fans of anime and manga. And the best thing about blogs is that with consistency and valuable content, they can rank really well in the search engines, like google, yahoo and bing, quite fast. Try to do that with a streaming or a classic type of website. It can be done, but not as quickly and easily you can do it with a blog. With the search engines liking you, people can find you, so you can build an audience for your anime website. From there, the possibilities are endless. There are many platforms someone can use for starting a simple blogging website. While the choices vary, i can only suggest the platform i use and believe is the best choice out there, for anyone starting out in the world of anime blogging and blogging in general. To start off, i don’t want to point anyone to the wrong direction. If you want free, silly sites, go use some of the free platforms like weebly, blogspot or something like that(although you can do that with my recommendation as well). Don’t expect to build a serious anime blog, or any serious blog for that matter, with those platforms though. Expect to just play around with fancy free tools. For those that want to create something better, and probably even make good money from their blog or website down the road, read on. To be serious, someone should have their own website, which of course needs hosting. There are two roads you can take. You can always buy cheap hosting from a really reliable host like bluehost(this is an affiliate link, which means you buy hosting and i make a small amount for suggesting bluehost to you. No extra cost for you, just helping in making more viable the running of this website, i pay for hosting too :P. You are free to use a non-affiliate link, no hard feelings ;)). It is cheap, good hosting with many plans for different needs. However, you get no guidance in any other aspect of running an anime website. If you are someone new in blogging and want to be serious about it, i can only suggest the platform that helped me in the beginning of my anime blogging endeavors, and i still trust to this day. The platform is called Wealthy Affiliate(cheezy name i know :P), and it provides everything you need to start online and more. It’s super easy to start out and get two free websites and beginner training just by making an account. That is the starter membership and you never have to upgrade, if you don’t want to. So, you can just head over there and with no risk on your part check the platform and play around. However, i believe you probably will choose to stay for good ;). 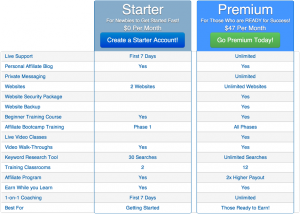 Should you choose to upgrade to the premium membership(which is just a little pricier than simple hosting) you get a deal that is irresistible and probably a must for any beginner. Step by step training accompanied with videos and required tasks, that literally take your hand and help you build any type of blog you like, and make revenue from it. The amount of information inside Wealthy Affiliate about blogging, internet and affiliate marketing is overwhelming. You can never stop learning new stuff that can help you in your anime blogging endeavors. For example check this video out, on how to build a website in under 30 seconds! Top notch hosting of up to 25 free and 25 premium websites. One click install of wordpress, the must have platform for any anime blogger. Keyword tool and other fancy tools that make your life sooo easy. (companies charge a lot for tools like these). An unbelievable community of other bloggers from many different niches, that can help and provide advice every step of the way. 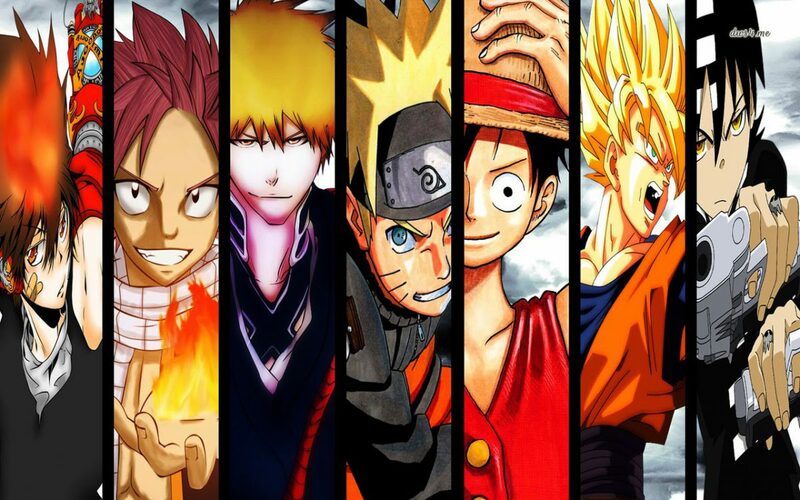 My personal help for anything you may need, just shoot me a message, my username is Sarutobi(Naruto fan as well :P). So, don’t take my word for it. Just make a free account and see for yourself that this is the best platform for the average Joe, who wants to make a serious anime website. Or any other website for that matter. I’ll see you on the inside. Also, more posts are on the way related to anime blogging tips, that i wish i knew when i was starting out. Just something off topic that i wanted to share before i leave you today. 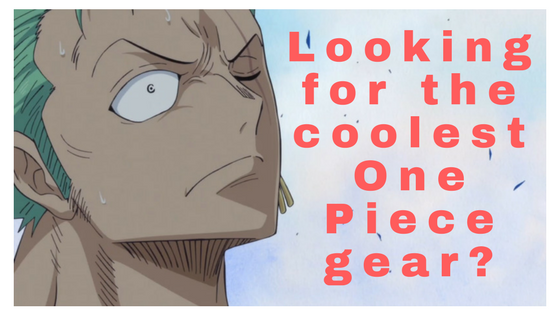 One Piece Theories was lately featured along with other bloggers from wealthy affiliate over at Blogging Thing(check the article here). A big thanks to Anh for choosing us as one of the featured blogs. To wrap up, this is what i had to share today about how to create an anime website. 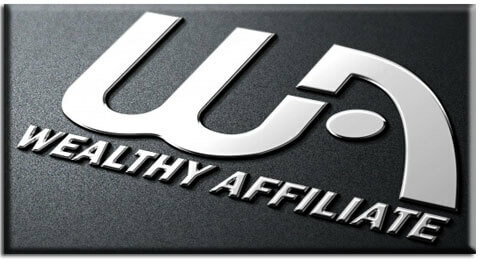 You can check Wealthy Affiliate here. Don’t forget to share your ideas in the comments. Thanks for the recommendation Antonis.I have been looking around for a while to start an online blog.Will follow your suggestions,it was clearly explained! As an anime fan, I will for SURE be keeping your site on my radar. This is awesome! It’s cool to see other hosting sites around the web that are trustworthy, since scams still try to weasel their way into the online user experience. Side Note: your site reminds me, once again how incredibly behind I am on One Piece. I think I dropped off somewhere in season 1. YIKES! Also, congratz on your blog being featured! Hey Dawn, happy other anime fans are around. You can always like our facebook page for updates or maybe join our newsletter using the box in the sidebar, for direct inbox updates and other interesting stuff. Thanks for the congrats ;). Be sure to get up to date with the latests episodes please, we have some theories to discuss here :P.
I am very impressed with this post, really learnt a lot. I will probably try this, thanks for the post. I will also like to recommend Digeroo.com for your web hosting, i have been using them for a while and they have been really awesome. Thank you once again. Hey Ini. Check out the free wealthy affiliate account for a start and go from there. Nothing to lose. I will certainly check out Digeroo, never heard of it before. Thanks for the recommendation! How did we get from anime to anime websites? There are really too many websites dealing with anime, then again – it means that they are doing a good job choosing a topic! Why would Wealthy Affiliate help you out with an anime website though? Wouldn’t it be cheaper to just get some basic service (3$/month) to just build it up, without all the marketing training? Hello Vlad. 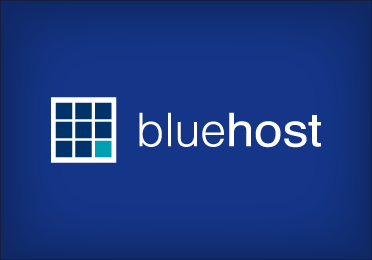 I said that first thing by recommending bluehost as a basic, reliable hosting service. However, i believe that if someone wants help along the way, something like that won’t help. Many people know nothing and the trial and error can be quite time consuming and tiring. That is where wealthy affiliate plays its role. If someone needs guidance, a simple hosting service won’t be of much use. It didn’t help me when starting out. I needed a community to teach me, and wealthy affiliate is the best place to do that. However, yes if you just need a hosting service, there are cheaper alternatives. Glad you like it. Good work on your manga website. Keep it up! Thansk for sharing the infor and yes the name of the website is quite cheezy. Haha, it delivers though. The best website online for affiliate marketing training, at least in my experience. A feasible way for someone to turn a hobby/passion/knowledge into an online business. i seriously need help in finishing my website already started and stuck with loads of work anyone interested..?? So, Jay what kind of help and work are you looking for? hey man nice job with the info..
What type of partnership my friend? Stop dropping links and drop me an e-mail in case you want to discuss this type of stuff! There’s a contact page up in the main menu for you to contact me directly. Previous Previous post: Straw Hat Luffy Grand Fleet – What will be the major incident? Next Next post: Who is the mother of Luffy – Roger’s sister?